Dorian Peters is a designer, author, and specialist in user experience for learning and wellbeing. Her books include: Positive Computing: Technology for Wellbeing and Human Potential (from MIT Press) and Interface Design for Learning (New Riders). 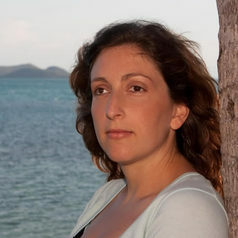 She is currently Creative Leader at the Positive Computing Lab at the Faculty of Engineering, University of Sydney and is also a member of CoCo (the Centre for Research on Computer Supported Learning & Cognition). She holds a Masters in Multimedia Design from the University of Sydney and a Bacherlors from Carnegie Mellon.